I can’t remember when it was that I first decided I’d love a camper van. Living by the sea you often see them about and the idea of packing up and escaping, waking up somewhere new, outside, preferably by a beach or a lake is hugely exciting to me. I’ve talked before about how we don’t do birthday presents really. The children seem to get lots from everyone else, so we focus on experiences, days out other activities for the memory bank that we can’t afford to do all the time. 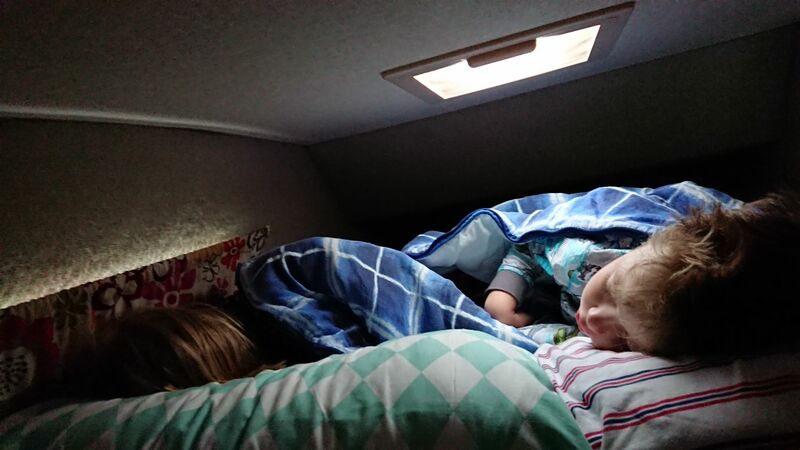 This year when asked, my nearly 4 year old decided she’d like to go camping. My eldest wanted the same for his 5th birthday last year and we hired a station wagon at Wowo campsite (I blogged about it here) so it seemed appropriate to do similar for her. 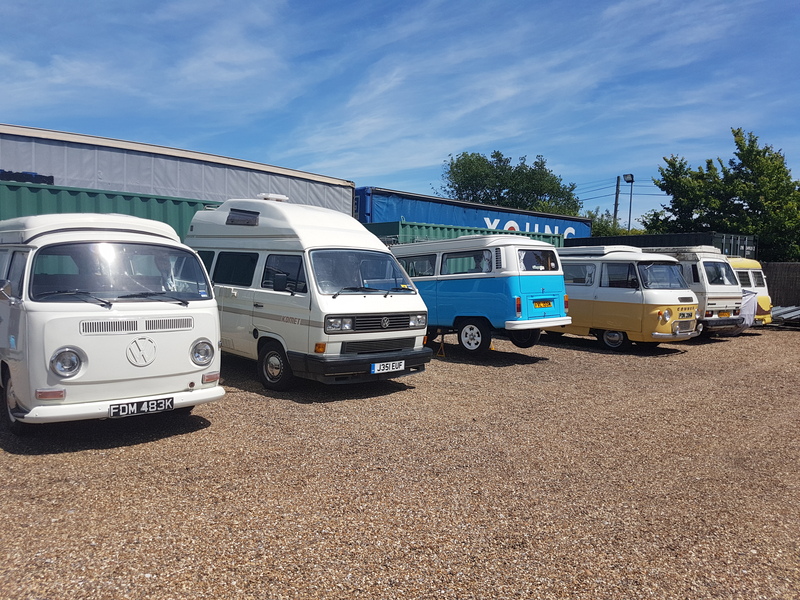 We don’t have all the camping gear, and we wanted to try it first before committing to the large outlay, so I decided to have a look around for a van to hire. I stumbled upon The Glampervan Hire Company based near Faversham which is a few miles from us and it seemed perfect. Aly and Lex hire out vintage and retro camper vans for weekends or longer stays (I wouldn’t recommend one night, I’ll explain why later) and you just pick the van up and go. 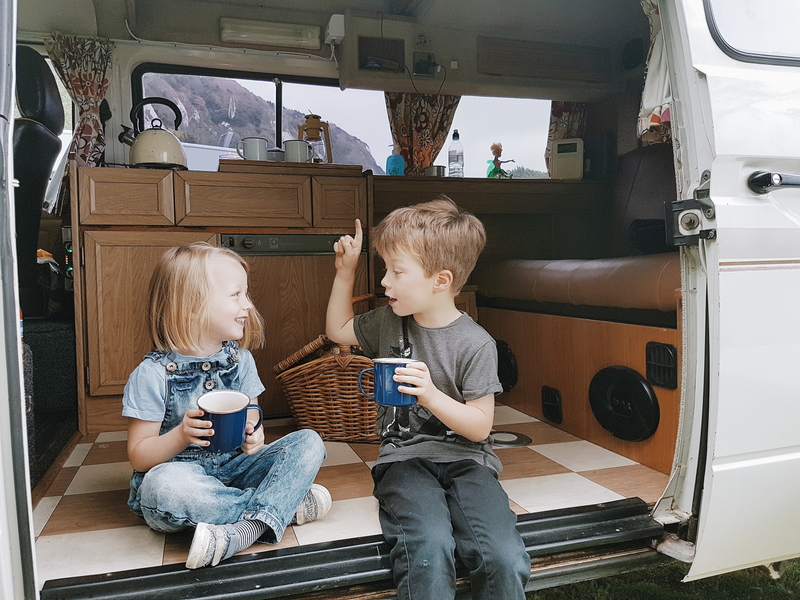 No worrying about crockery and gas stoves – the van is well equipped with all the essentials so you just need food, clothes and bedding. 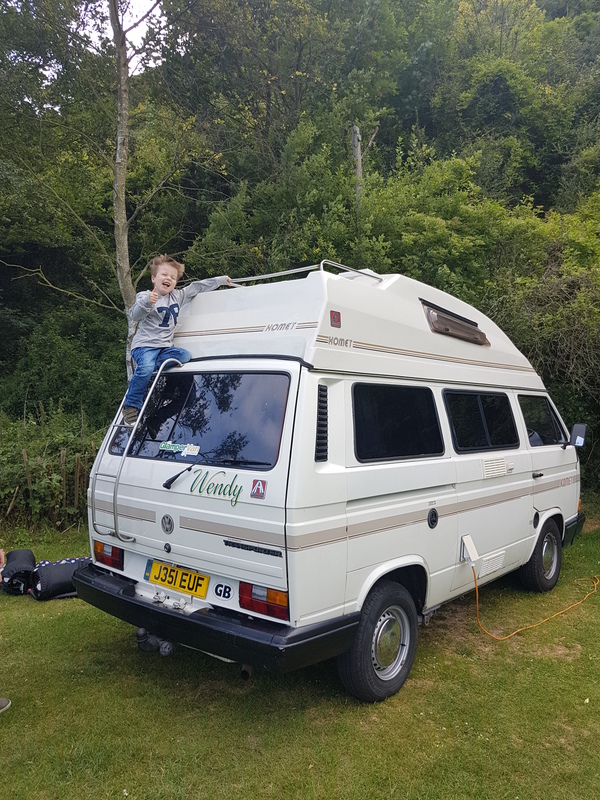 I booked Wendy, a retro style VW T25 van which boasted lots of space and seemed practical for a young family. With suitably giddy kids (and mum), and a good camping play list, we packed up and headed over to pick up the van. We had decided not to venture too far from home and for £24 per night for a pitch and hook up, we booked Little Switzerland campsite in Folkestone. It’s about 30 minutes from home so far enough to not nip back every 5 minutes but not too far that we would spend too long travelling / working out the area. We arrived on a sunny but windy Friday evening. And immediately faced our first challenge – putting up the awning in a force 9 gale. We are British and stoical and stuck at it for a good 10 minutes before giving up and opening a beer. The kids ran around the campsite which had gorgeous views and I set up for a BBQ with friends who were popping over to spend the evening with us. 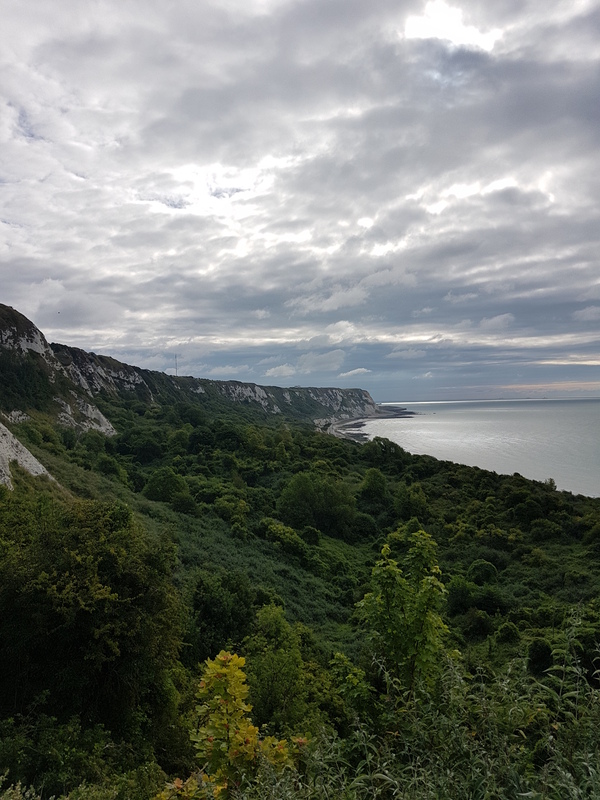 We had a great evening, with lots of giggles getting lost on Folkestone Warren and cooking marshmallows for smores while all the kids ran around and made more friends on the campsite. 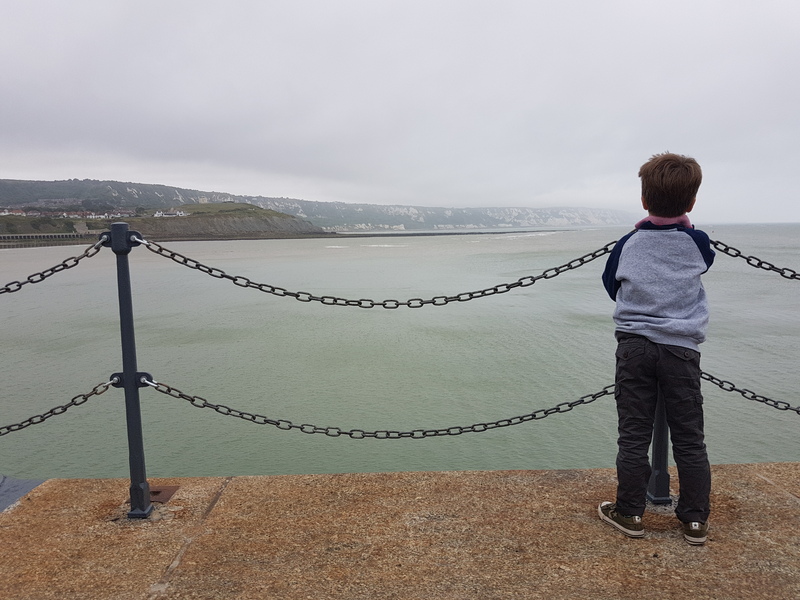 I know Folkestone fairly well but hadn’t explored it properly so on the Saturday we took a drive to nearby Hythe and enjoyed a potter even in the rain, and then wandered down to Folkestone Harbour Arm (blog posts here and here) for pizza, followed by more smores! There is something very relaxing about a camper van. It’s cosy, it’s simple, and it doesn’t go fast so you’re just immediately forced to embrace a slower pace of life. You learn how little you need. 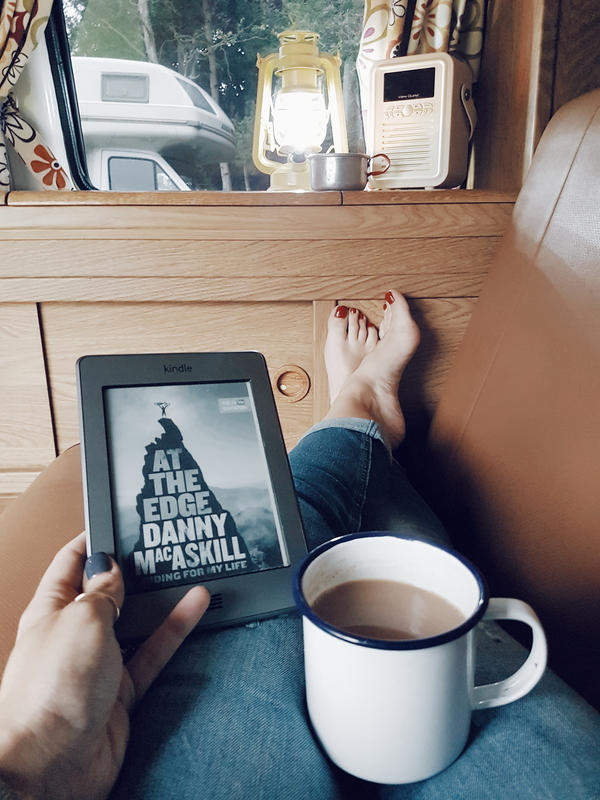 Sitting in the camper reading a book, listening to the birds and the waves (and Foo Fighters at Glastonbury on the radio) was a really perfect way to spend an evening. We played cricket, read books, enjoyed being outside and the kids didn’t self combust without a screen all weekend. In fact I’m pretty sure they didn’t notice. 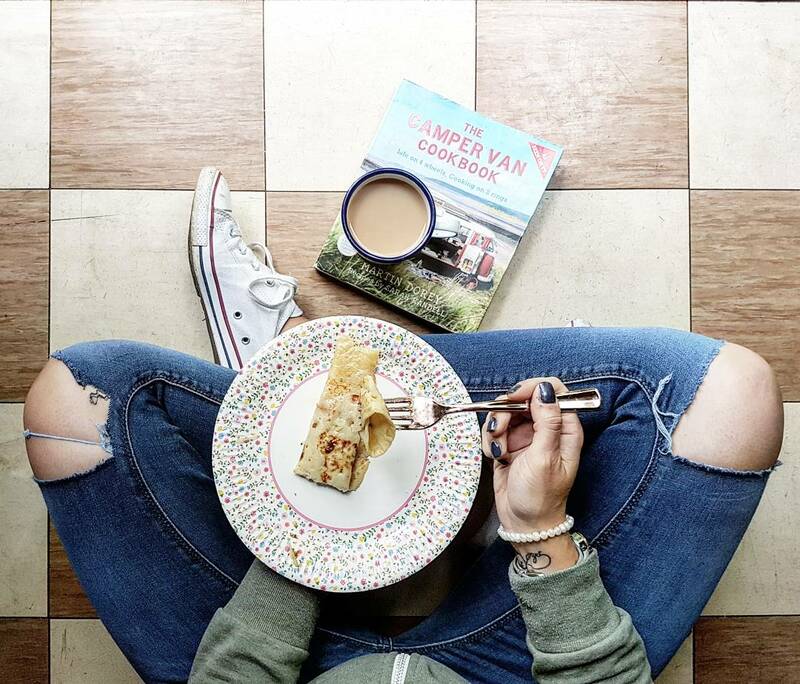 By the Sunday morning, having made and scoffed pancakes, we felt like we were at home in the van. It took a while to work out the storage and how best to organise things, which is why I wouldn’t recommend less than 2 nights. 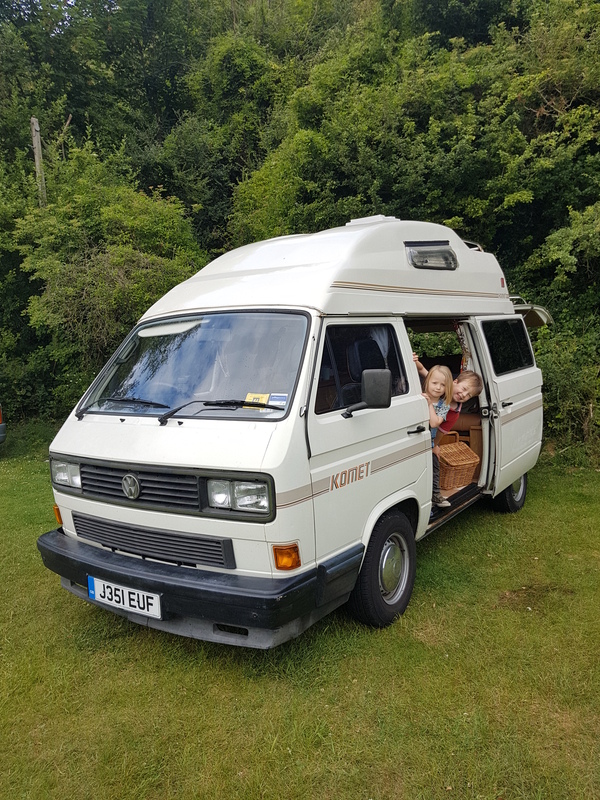 The only problem is that now, not only do I want a camper van more than ever, but I’ve converted the kids to the cause as well, lottery win pending. Thanks so much to Aly and Lex for their great communication, and a brilliant weekend with Wendy .